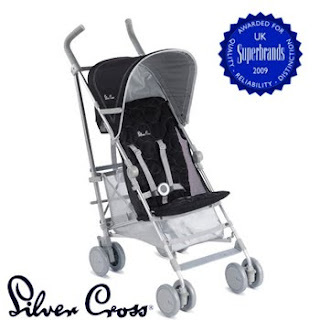 Silver Cross Fizz Celebrity Stroller just $69.95 Shipped! This is an amazing deal on a very cool stroller. Shnoop.com has the Silver Crozz Fizz Celebrity Stroller for just $69.95 and Free Shipping! Sale ends in 24 hours, so act quickly! Features a reclining seat back and reversible seat pad. This is an ultra lightweight umbrella stroller from a company that knows quality. Get 6 Baby Genius DVD’s for just $25 at LivingSocial! FREE Pampers Gifts to Grow Codes for May 2011 (185 Points)! Are that the real price? Shiped home to Norway? 70 dollars? Ore are it just for Your country?